If you're looking to experience authentic Ireland with all your favourite 21st century amenities look no further. If you're looking to experience authentic Ireland with all your favourite 21st century amenities look no further! 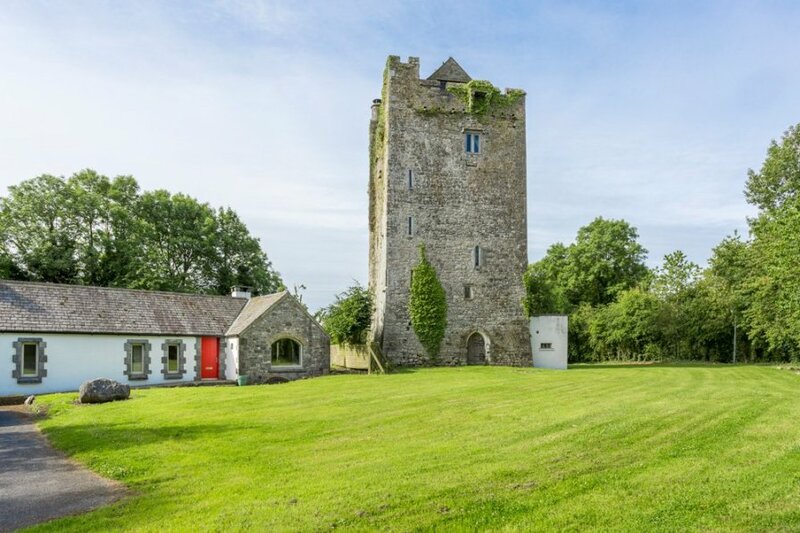 The exceptional Towerhouse Castle & Coach House is beautifully situated with views over green tree filled fields. The 16th century Towerhouse has been restored to its former glory using the techniques and materials of the original builders. The rooms are rich in character and offer a truely unique atomsphere. Whilst the new Coach House addition offers a modern and spacious stay. The Castle is now a charming self-catering holiday home where guests will have an unforgettable stay. Full cleaning and catering can be arranged. The Coach House can comfortably accommodate another 12 - 14 guests, at a squeeze a further two can sleep on the sofa bed in the living room, this takes the total capacity to 26 guests. There are three en-suite double bedrooms, all being wheelchair friendly. There's a family room with two double beds as well as a loft room, perfect for the kids, which sleeps four. Also, in this part of the property is a second living room and fully equipped, modern kitchen with all necessary appliances. The varied and flexible accommodation between The Towerhouse and The Irish Coach House helps to excellently cater for the variety of needs required by large group gatherings and weddings. - Large spacious kitchen and dining area with plenty of light. The main room is filled with a French dresser and two dining table with 10 chairs. The room also offers a small kitchen worktop, sink, stanley stove and dishwasher. - To the right of the kitchen is a small living room with tv and fireplace looking onto the terrace. - Main family bedroom with two double beds grand piano and seating area. - Relaxation loft with four single beds with two sky lights (access is via a sprial stair case). - There is a stone terrace to the back of the house covered with roses, offering a wonderful spot to marvels at the Tower Castle. - There is a small lawn for children to play on.